The fairytale country of Austria is a sure stunner with its mesmerising mountainscapes, glaciers, and spectacular scenery. The enchanting spell that it casts on you is so hard to escape from, your love story with this alpine country, Austria begins right here. Add to this a good measure of culture, history, & baroque architecture, you have a winner in Austria. 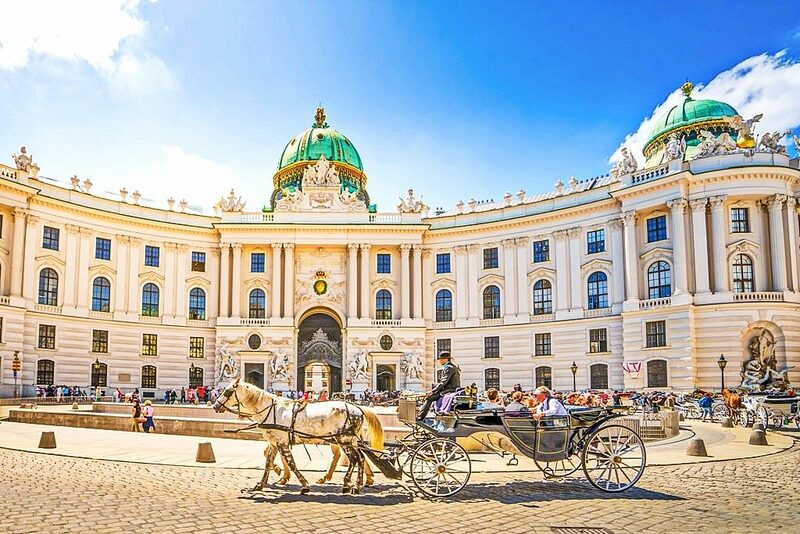 Here’s our handpicked list of the 10 best things to do in Austria to get the most out of the fairytale land. And to know everything about planning a trip to Austria, send us a postcard. One of the first things to do in Austria is to go on a visit to Schönbrunn Palace, it would probably set an imperial tone for the rest of your visit. A former royal summer residence in Vienna, Schönbrunn Palace is immensely popular and the iconic landmark is a major tourist attraction. Take a virtual tour of the palace complete with an explanatory audio, gaze at the wonderful paintings that showcase the history of the country. Grab a cup of coffee at Cafe Gloriette, roam around the vast grounds of the palace, and click amazing pictures for your Instagram. Schönbrunn Palace is always packed with visitors and if you are planning to visit the attraction during the peak season, make sure to get your tickets online and skip the queue altogether. A visit to the 1,441 baroque room palace is a peek inside the culture and the history of Austria. In Austria with your family & friends and wondering where to go? Prater is your haven. 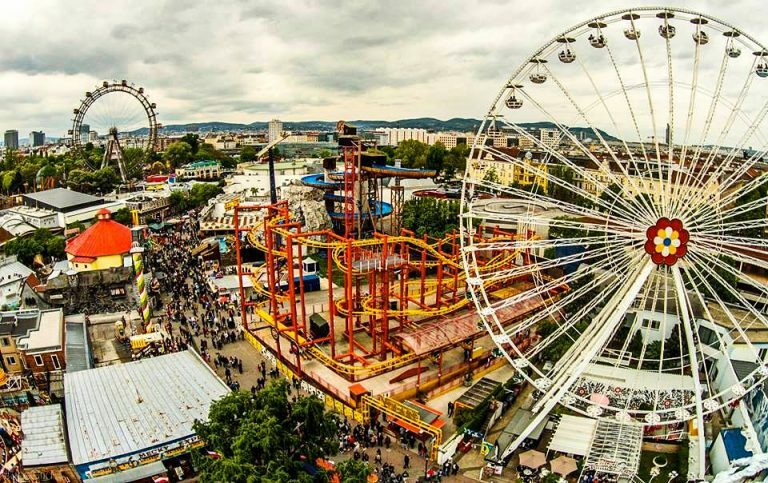 Set in the heart of the city of Vienna, the huge amusement park is an iconic part of the city and is also the oldest one in the world. A trip here will surely be a nostalgic experience. Hop on the giant Ferris wheel and enjoy the unparalleled 360-degree views of Vienna which glows to its best in the nights. Ride on the 75-year-old gauge railway of Liliputbahn, try the Praterturm swing and the Vienna rollercoaster. There is also a planetarium and a museum you can visit after the rides. While the grounds of Prater operate all year round, most of the attractions are open only from March to October. Built in the 13th century, the then imperial winter palace of Hofburg is now the official residence and workplace of the President of Austria. But that’s not it. Hofburg is also home to a wide range of other attractions. Few of the notable ones include Sisi Museum, Imperial Apartments, and Spanish Riding school. Be astonished by the massive collection of silverware & imperial furniture, take a look at the varied range of exhibits that take you through the life of Empress Elisabeth, stay transfixed at the extraordinary display of art & paintings, and climb up the hill to enjoy the splendid views. Cameras are not enough to capture the pure beauty of Hofburg. 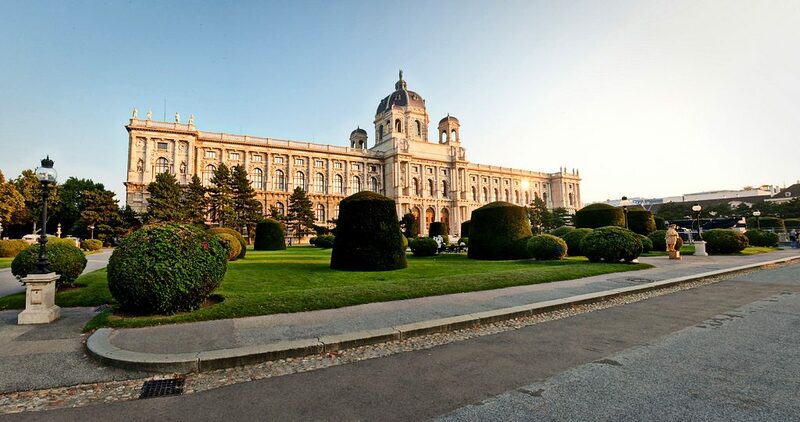 Built initially as a summer residence for Prince Eugene of Savoy, the complex of Belvedere is one of the landmark places to visit in Austria during summer. The building is divided into two sections – upper Belvedere which includes an extensive collection of paintings by famous artists, lower Belvedere is the residential palace of Prince Eugene. Check out the famous painting of Gustav Klimt ‘The Kiss’ and other famous exhibits which include Gunter Brus, Aging Pride, Erwin Wurm, & Rachel Whiteread, stop by a photograph by the decorative fountains & Baroque sculptures, be awestruck by the impressive architecture, and grab some souvenirs for your friends back home. 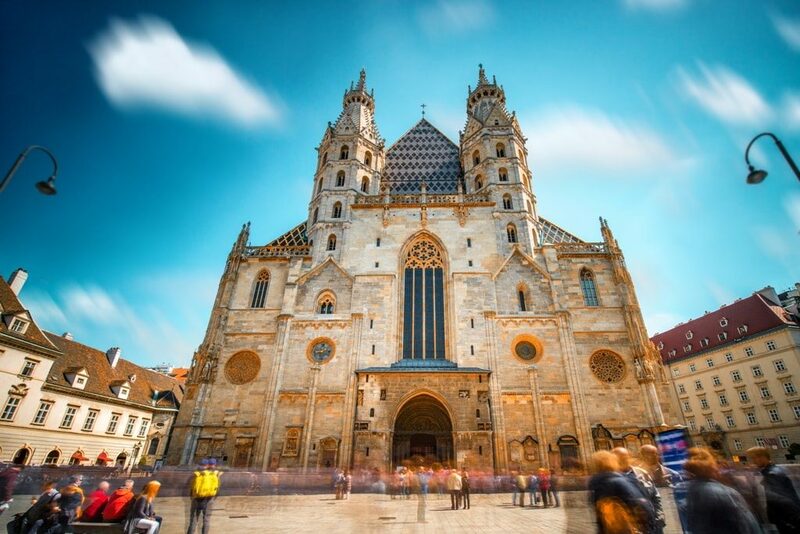 Occupying a special place in people’s heart, St.Stephen’s Cathedral in Vienna is an integral part of the city and is one of the prominent gothic structures. The construction of the cathedral started in the 12th century and the symbolic cathedral which is now in existence for more than 700 years provides a window into the past. Climb up the 343 steps of the south tower room for breathtaking views of Vienna, take a guided tour of the catacombs which include the tombs of famous people, awe at the colourful tiles adorning the roof, and discover the hidden secrets of Vienna within its gothic quarters. While the cathedral has undergone several renovations over the years, the essence of the site still remains. Interesting read: Most iconic filming locations across the world! Bustling with over 120 colourful market stalls and restaurants, Naschmarkt is the most popular market in Vienna. 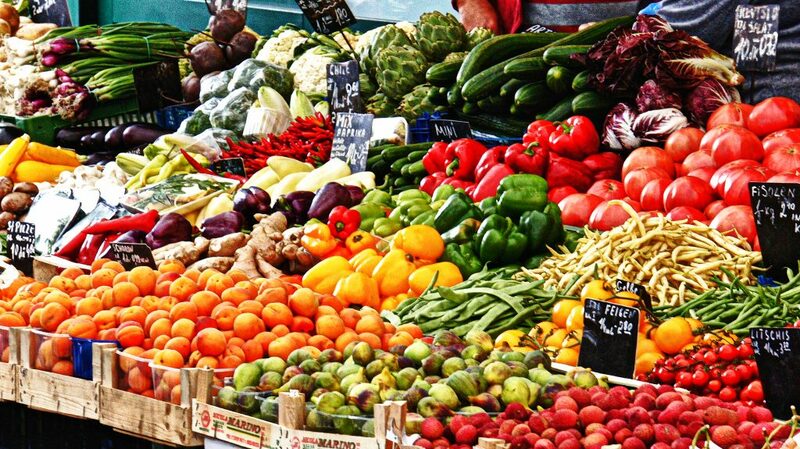 Naschmarkt has been operating since the 16th century during which farmers from different parts of the world come together to showcase their produce. Today, Naschmarkt is where the locals and the visitors go to enlighten their culinary senses. Give it to the delectable aroma of the freshly baked loaves of bread, savour the Israeli-Oriental delicacies on offer at the middle eastern restaurant of Neni, catch up with a late night snack at ON Market, and get your hands on the diverse delights from different regions. From Viennese to Italian to Indian to Vietnamese, there is a wide range of options to choose from in the market. The best time to visit Naschmarkt is on a Saturday morning when the flea markets spring into action. Those panda’s look adorable, don’t they? The Tiergarten Schönbrunn or the Vienna Zoo is where you’ll find them. The main focus of the zoo is conservation of species and nature. Established in 1752 on the grounds of the famous Schönbrunn Palace, Tiergarten Schönbrunn is the oldest operating zoo in the world. Keenly observe the adorable pandas as they munch on the bamboo & climb trees, find your way along the cages watching your favourite animals get fed, ride on the Ferris wheel, click some wild photographs of the animals in their natural habitat, and stop by for coffee in the centre of the zoo. Tiergarten Schönbrunn is home to a wide range of animals including elephants, bisons, leopards, arctic wolves, ice bears, zebras, bearded dragons, crocodiles, peacock, and several others. 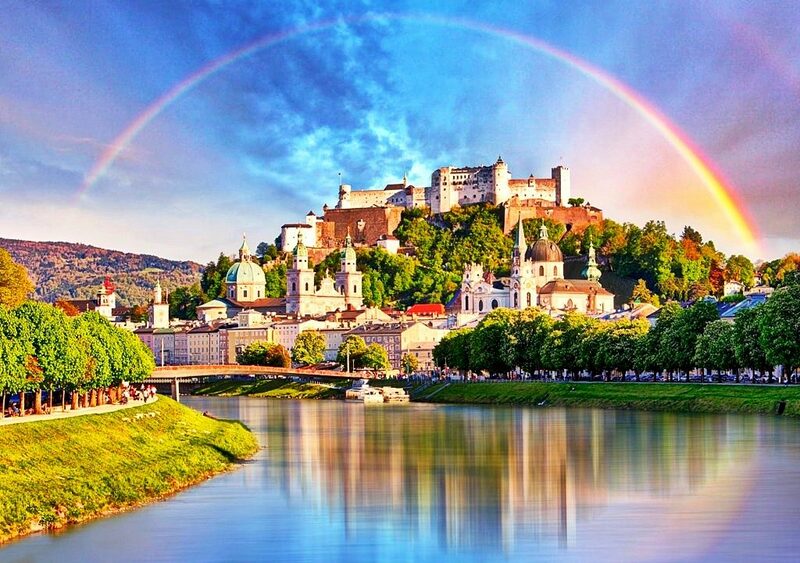 Sitting atop a small hill Festungsberg in the Austrian city of Salzburg, Hohensalzburg Castle is an imposing castle complex from the 17th century. The castle is an unmissable part of the city and can be viewed from anywhere in the city. Take the funicular, go on a discovery tour of the Hohensalzburg Castle learning the enthralling history behind the thick walls, be spellbound by the breathtaking views from the castle, stroll across the golden chamber, and feel the eventful history come to life in the castle museum. Gorgeously decorated with the snow as the season changes, Hohensalzburg Castle is one of the best places to visit in Austria in winter. Shimmering in a golden hue in the nights, Vienna State Opera is one of the top opera houses in the world and is an excellent place to visit if you are into theatre and plays. There are over 300 ballet performances and 50 operas scheduled for a year. And the most interesting part is, Vienna State Opera stages a different play each day and the world-class performances are a treat to watch. Take a guided tour of the opera house which is complete with unknown facts and interesting history, catch a live opera/ballet in the intimate venue, admire the intricate architecture in place, immerse yourself in the stunning setting, and dine at the opera cafe. A day spent in Vienna State Opera is one of the most lovely experiences anyone could ask for. Housed in a decorative palatial building with an octagonal dome on the top, Kunsthistorisches Museum is the largest art museum in the country. The museum sports a sandstone facade and the insides glow with marble deco, stucco ornamentations, paintings, and a gold leaf. Marvel at the interesting exhibits, be impressed by the three-dimensional art on display, explore the different objects inside the museum & listen to each of their unique stories, sit down for lunch in the exceptional cafe, and go shopping in the museum store. The extensive collection inside is enough to keep you occupied for the whole day.